There are 4 Memory Care Facilities in the Monroe area, with 1 in Monroe and 3 nearby. Caring.com has helped thousands of families find high-quality senior care. To speak with one of our Family Advisors about memory care options and costs in Monroe, call (855) 863-8283. The Alzheimer's Association reports that 140,000 Georgia residents are living with Alzheimer's disease. In Monroe, which has a population of about 27,000, nearly 18 percent of its residents are age 65 or older. Some of seniors in Monroe are part of the 140,000 Georgia residents living with Alzheimer's disease and in need of 24-hour supervision and specialized care in one of Monroe's four memory care facilities. 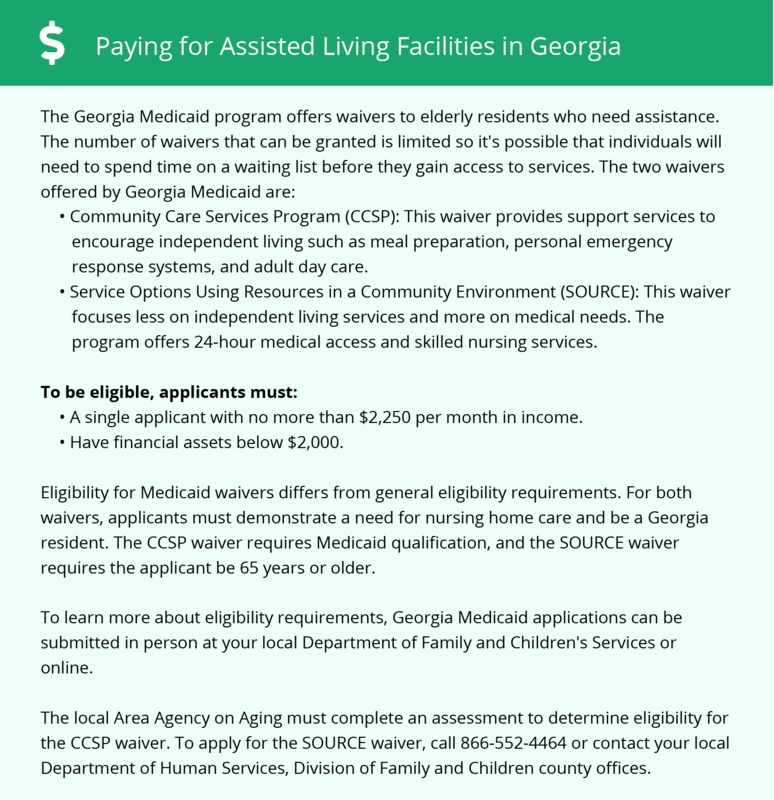 The Georgia Department of Community Health oversees, licenses and regulates assisted living facilities, which include memory care facilities, in the state. These facilities earn a healthcare regulation facility license, which ensures that they meet the state's required standards of care for patients with Alzheimer's disease and related memory disorders. Cost of living in Monroe is just under the national average, coming in at 96.2 on a scale where 100 represents the national average. Housing costs are significantly below average, in particular. Seniors' families may want to consider this cost of living when budgeting for memory care facility expenses. Another factor seniors' families may consider when budgeting is Georgia's tax laws for seniors. The state does not tax social security income. Additionally, it provides a deduction of $65,000 for other retirement income for individuals ages 64 and older. Seniors and their families who are hoping to escape snowy and icy winters will find Monroe's Southeastern climate to be appealing. The area averages just one inch of snow a year. Rainfall is higher than average, as are the number of sunny days. Winter lows hit the 30s, and summer highs reach 90 degrees. Monroe has few facilities from which to choose in the event of a medical emergency or illness, with the nearest major hospital specializing in brain health and dementia care located in Atlanta. Memory Care costs in Monroe start around $0 per month on average, while the nationwide average cost of memory care is $4,778 per month. It’s important to note that memory care rates in Monroe and the surrounding suburbs can vary widely based on factors such as location, the level of care needed, apartment size and the types of amenities offered at each community. To see a list of free memory care resources in Monroe, please visit our Assisted Living in Georgia page. Monroe-area assisted living communities must adhere to the comprehensive set of state laws and regulations that all assisted living communities in Georgia are required to follow. Visit our Memory Care in Georgia page for more information about these laws.